should give you a clue. It eats like a millipede. Welcome to the secret underbelly of Myripoda! 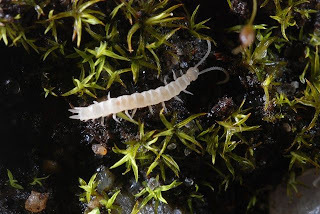 Myriapods are those arthropods with a stupidly huge number of legs. 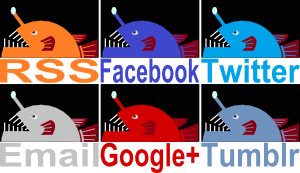 Basically the ferocious centipedes and docile millipedes. We've already seen some of them, and it was interesting how the biggest centipedes and the biggest millipedes are both about 30 cm (a foot) long. A big Garden Centipede, and I mean a really big one, is about 1 cm (0.4 in) long. 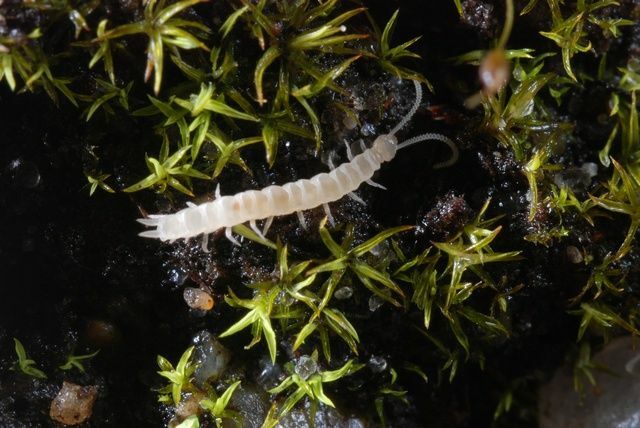 They are members of the class Symphyla, with about 200 species found in soil all over the world. There are a few who live in caves and some adventurous souls even live up trees, but most occupy traditional creepy-crawly venues under rocks and between the very particles of soil. 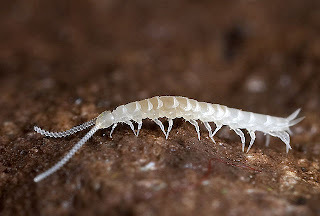 Unlike most centipedes and millipedes they have no eyes at all, relying instead on their long antennae. They also don't have the terrible stings and toxins of centipedes, since almost all of them eat soft, decaying vegetation. There is one psychopath who is predatory, feasting on tiny arthropods and nematode worms, but the biggest trouble any Symphylan causes is to agriculture, by eating seeds and roots. I'm sure this pains the associated farmer, but REAL centipedes can be a REAL pain in the arse. These little fellows are so unassuming they don't even have pigments in their exoskeleton, so they look translucent. Two interesting things about their legs. One; they are adamant about having 12 pairs of legs. Species don't range all over the place like millipedes for example, who can have anywhere between a few dozen and several hundred legs. Also interesting is that when the eggs hatch, baby Symphyla have 6 pairs of legs! As they grow and moult over the course of several years, they increase the numbers until they reach the requisite 24 total legs. Extra legs? Now that's a birthday present! i like the ghostly translucence of these guys! Yeh, they look really spectral. You just never know where you'll find ghosts!